Two mats that mirror the colors of rainbow are raw materials for limitless play. 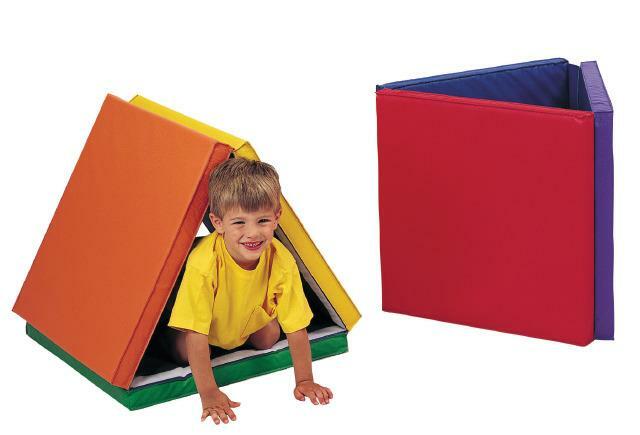 Create an activity strip, toy box, tent or whatever you feel like! Velcro connects mats. THIS ITEM WILL DROP SHIP FROM THE MANUFACTURER AND TAKE ABOUT 10-14 DAYS FOR DELIVERY. Dimensions: L: 72" x W: 24" x H: 2"